Eurosport is offering fans the first ever live Virtual Reality (VR) coverage of the Olympic Winter Games across most European countries, including the UK. The Winter Olympics Eurosport VR app will provide more than 50 hours of live coverage, including some of the biggest moments from PyeongChang. A wide range of sports will be available live in VR, including alpine skiing, curling, figure skating, ice hockey, short track, ski jumping, skeleton, snowboarding (big air and halfpipe), as well as the Opening and Closing Ceremonies. Eurosport will also share full on-demand replays and daily highlights packages in VR. The coverage is provided to Eurosport by the Olympic Broadcasting Services (OBS), its partner at the Games. Fans will be able to fully personalise their viewing experience, selecting their preferred viewing point from up to six camera positions and immersing themselves with all the sights and sounds within a venue during the live sport. The VR experience will be delivered by Intel True VR, which uses multiple cameras at the selected events to create a 360-degree virtual reality environment for fans to get closer to the action than ever before. The app is available on iOS and Android phones from 1st February 2018 and for just €0.99 or £0.99. It is also available on Samsung Gear VR, Google Daydream and Windows Mixed Reality headsets from their respective apps stores. The VR app will not be available in Germany or Italy. 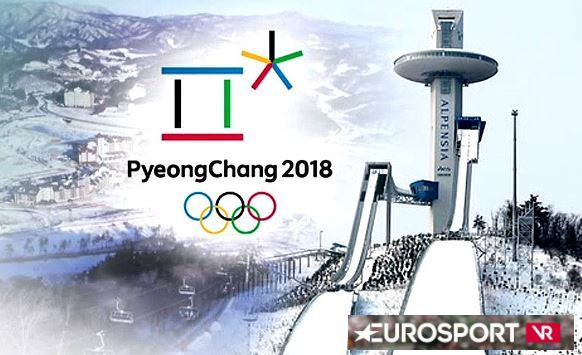 Eurosport’s coverage of the Olympic Winter Games PyeongChang 2018 starts on Thursday 8th February.